Rarely have Germany gone into a World Cup with anything other than great expectations and this summer is no different. The decision to leave out one of the best players in the Premier League caused shock waves on this side of the world, but closer to home, it has only reiterated the supremely confident nature within the country. Leroy Sane's absence is peculiar and while it is easy to be lulled into a sense that this is another golden era for German football, Didi Hamann has dampened his country's chances of retaining their crown in Russia. Across his eight-year international career, during which time he won 59 caps, Hamann (right) played with a plethora of leaders, but as he looks at the current squad, he doesn't see the same kind of big personalities needed to win a World Cup. 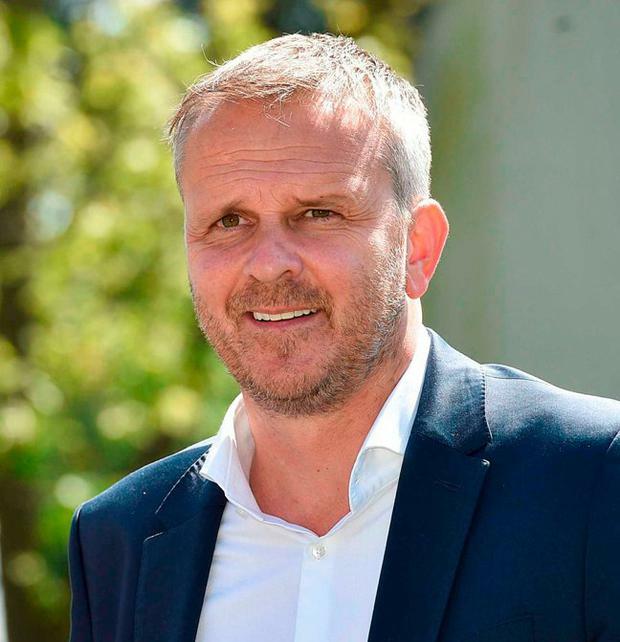 "I think people got a bit carried away with the Confed Cup last year when quite a few players had been left out of the squad," Hamann recalls. "They won it and probably the best team apart from Germany was Chile. "But Chile didn't even qualify (for the World Cup) so I think it puts into perspective what they beat last summer. "This is why I am slightly cautious about their chances because they have lost a lot of experience and experience counts for a lot because they have got a lot of young players who need to be led. I'm not sure whether they have the players to do that." Germany will rely on the likes of Manuel Neuer, Mats Hummels and Toni Kroos to provide the leadership in Russia, yet Hamann doesn't believe it will be enough to be crowned champions. "You don't get by, by saying, 'We are Germany'," the 44-year-old World Cup runner-up insists. "We don't get a bye to the semis. They've got to work for it. There are a lot of question marks. "I don't think the group is as easy as people say, because Mexico will be a test in the first game and Sweden have some decent players. South Korea are no pushovers as well. They are always very fit and physical. "So I think people expect to go to the semis, but the danger is also that a lot of people come out and say our squad is better than four years ago. I couldn't disagree more with that stance. "It might be better when you look at the players 16-23, but a lot of these will be needed once or twice, but not for the duration of the tournament. I'm pretty confident in saying the first 11 is not as good as it was four years ago." In Joachim Low, Germany have a manager who knows what it takes to go all the way and, while Hamann admires the job that he has done, the former Liverpool midfielder, who will be part of RTé's coverage, still has his reservations. "He's been to the last six or seven tournaments and they have been at least to the semi-finals. He's done a fantastic job. "They lost a final in 2008. I think in the last World Cup, their consistency and the way they go about things, the discipline he brought to the squad has been exceptional. I don't know anybody else who would have achieved as much. "The manager is important but I think even more important are the players who play the game. "I doubt a manager can make up for a lack of experience in the playing staff. "I think it's great that he does carry on. Obviously he's done it four years ago, he knows how it's done but I feel it is different personnel there." As for the controversial call to leave Sane at home, Hamann didn't agree with it, but explained that it didn't quite cause as much of a stir in Germany. Sane was outstanding during Manchester City's utterly convincing title-winning season, yet it wasn't enough to force his way into the international picture. "Yeah, it was expected," Hamann adds. "I wouldn't say it was a shock but people didn't expect it because there were one or two other players who people thought might stay behind. "He (Low) probably felt that he maybe thinks about himself a bit too much and not enough about the team. "This is why he's appreciated, this is why people like him because he makes big decisions. If he has to make a call, he does it. I'm sure it wasn't an easy decision. "I would have taken him because I think you don't get a better substitute than him with 20 minutes/half an hour to go, because I think one thing that the team is lacking is pace. "I don't think we have got any out-and-out quick players in the squad. Purely for that reason I would have taken him. "The manager came out and said it was between him and (Julian) Brandt. I would have taken both, I maybe would have left either (Leon) Goretzka or (Julian) Draxler behind. "We don't really have any pacy players in the squad and there is no better sub. If you have seen him (Sane) for City this year, I think his game has come on leaps and bounds."